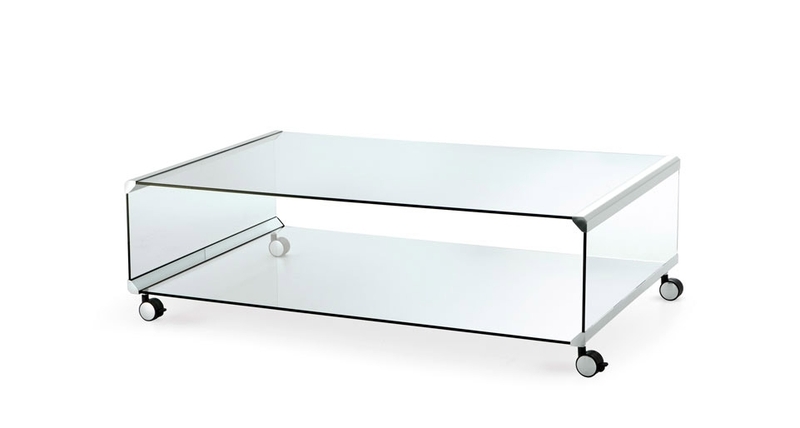 Coffee table in 8 mm transparent tempered glass. Bright stainless steel metal parts. Satin stainless steel, protected or embossed white or black lacquered brass metal parts on request. 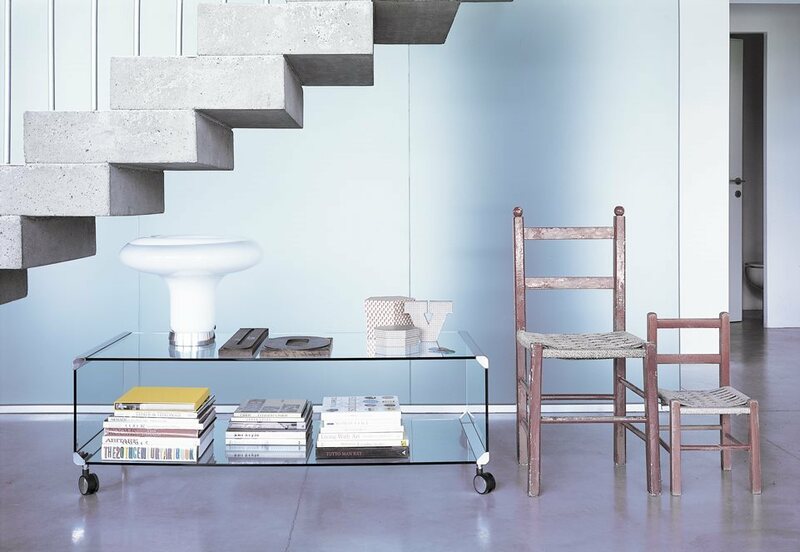 Available with or without castors (total height: 34 cm).